Laser cutting is the complete removal and separation of material from the top surface to the bottom surface along a designated path. Laser cutting can be performed on a single layer material or multi-layer material. Material thickness and density are important factors to consider when laser cutting. Cutting through thin material requires less laser energy than cutting the same material in a thicker form. 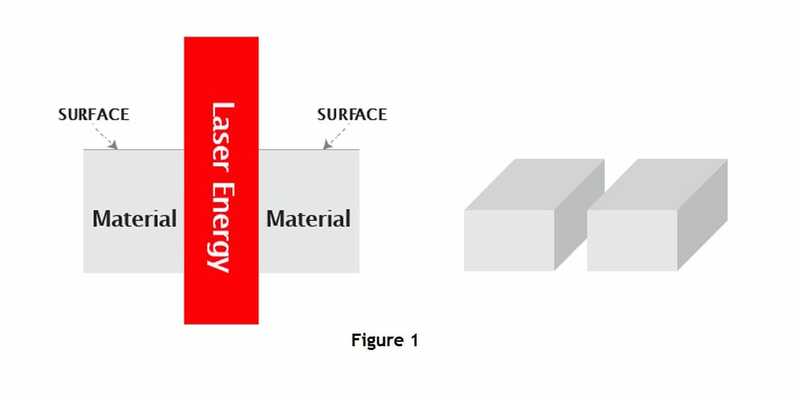 Lower density material typically requires less laser energy. However, increasing laser power level generally improves laser cutting speed. In general, CO2 lasers with 10.6 micron wavelength are primarily used for cutting non-metal materials. 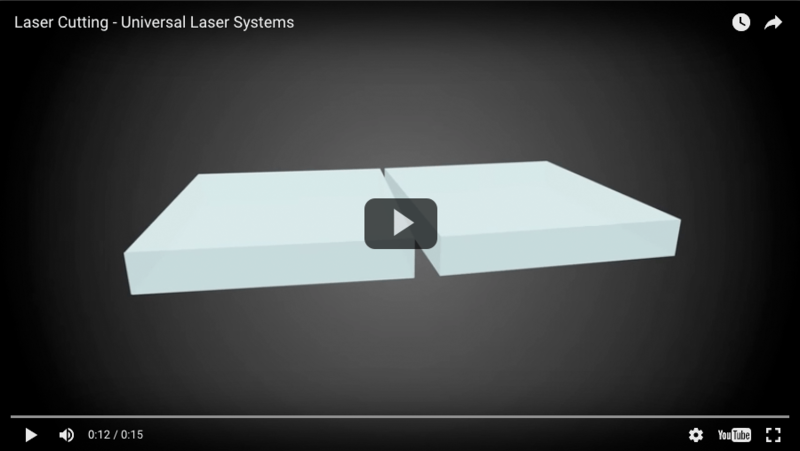 CO2 and fiber lasers are both used for cutting metals. However, as a rule, cutting metals requires substantially higher power levels than non-metal materials. Learn more about why laser technology is an ideal tool for meeting tight tolerance specifications when used as a laser cutter and how laser technology enables distinctive design characteristics when used as a laser engraver or laser marker.